Even before I recognized Samuelsson in the title of the restaurant I was drown. 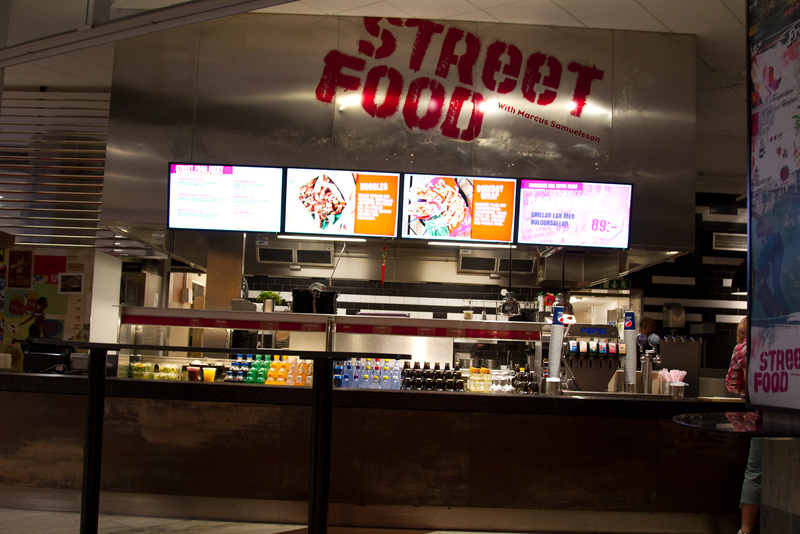 Perhaps it was the stainless steel exterior with a red-pink graffiti style “Street Food” or the 46” LCD monitors displaying a dynamic menu and photos of the food – a fast food thing throughout Stockholm. Just off one of the many trains into the Central Station I was hungry. I figured I’d give it a try. A few steps closer and I recognized the name. Back in 2003 and I was handed a preview copy of Marcus’ first cookbook – Aquavit: And the New Scandinavian Cuisine. When it came out I was quick to pick it up. In short, it has style and substance. It was also a great introduction to the chef without event stepping into Aquavit. It also satisfied my curious interest in Swedish food beyond meatballs. I tried many of the recipes with success; eventually, I got bored with the cuisine. The book rested on various book shelves over the years. Occasionally, I’d get the urge for gravlax or homemade aquavit and dig out the book. I never made it to Aquavit in NYC, but made it to Street Food in the Stockholm Central train station. Street Food is not Aquavit – the cookbook and certainly not the restaurant. It’s a blast. 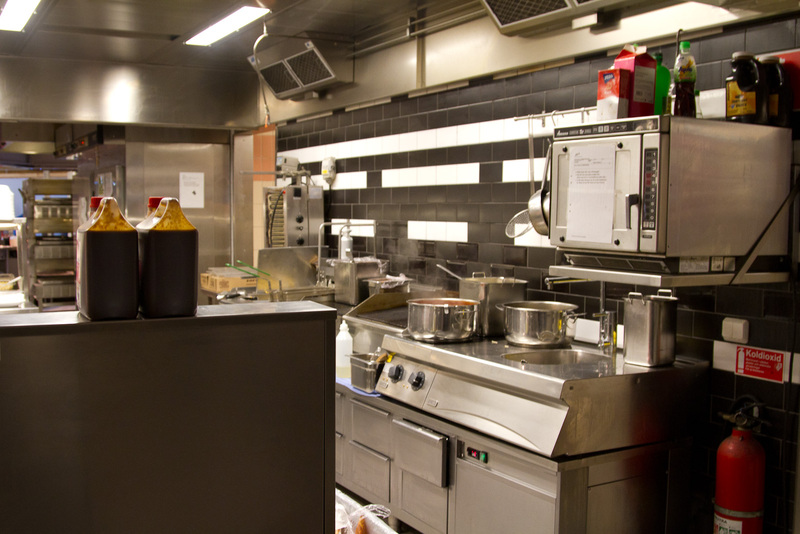 For me it was simply the kitchen; it’s efficiency, cleanliness, and openness. The restaurateurs where obviously making a statement. I love the open kitchen concept which is counter to the standard crowed, packed, small hole in the wall or street truck this kind of food is served out of. There is nothing to hide. 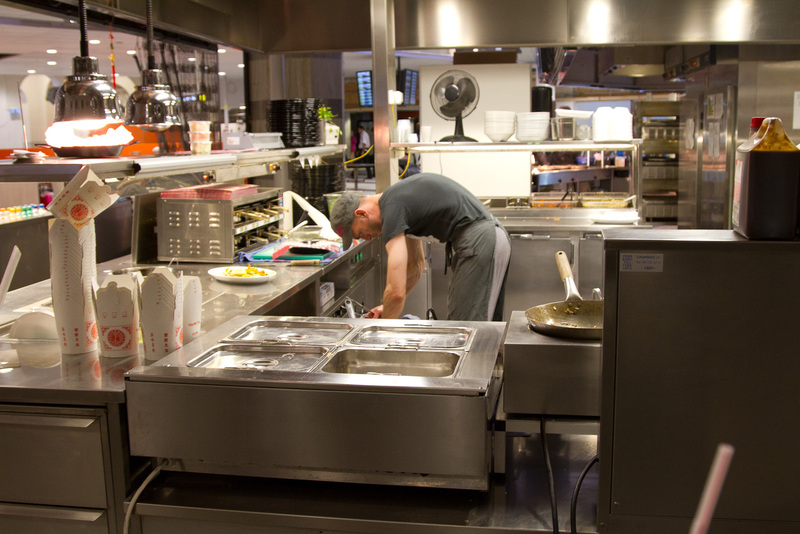 If you surround the chef with quality ingredients, induction burners and woks, space to move, and clean stainless steel then the results should be good. It is a fast food spot with a wonderful bar/table view of the kitchen. That’s where I planted myself. Various warming trays with par-cooked noodles and mushrooms made it easy to assembly a dish. The chef would take an order of noodle dunk it in a pot of boiling water. Heat up a premade sauce to drench the noodles. On the grill are chicken breast and vegetables. In a second all the various ingredients came together in a dish. It was ready to go. Next. From noddle dishes to wraps the flavor was Southeast Asia. I had a noodle dish – a wok as it’s called with chicken. I thought it would be fairly simple and plain. It was a layered and spicy; very nice, filling, fairly healthy and pretty cheap. It was certainly superior over the Pizza Hut and McDonald’s around the way. As I was leaving to head back to the hotel, I thought it would be nice if this style of fast food developed a movement in The States.